When Samsung was absent from the Android Wear launch earlier this year it looked like the electronics giant would follow Sony and to pass on the Android Wear platform and stick with its own Tizen OS, but it turns out that's not the case. Yoon Han-kil, senior vice president of Samsung's product strategy team, revealed in a recent interview that Samsung plans to introduce Android-based smartwatch later this year, as well as a couple smartphones running Tizen. Samsung's first generation smartwatch, the Galaxy Gear, ran Android when it debuted last year, but Samsung's subsequent model's did not. 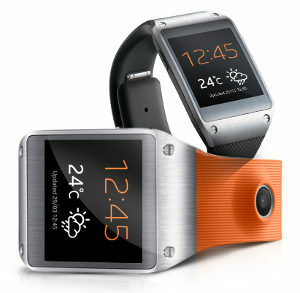 The Samsung Gear and Gear Neo were launched earlier this year and both run Tizen, Samsung's proprietary OS. The South Korean firm wanted to build its own ecosystem around Tizen to reduce its heavy reliance on Android and for the content revenue, but after a series of delays in product launches Samsung scaled back its expectations. "We had tried to launch (Tizen) with DoCoMo and Orange ... but couldn't because of poor market conditions. We have changed our strategy and will release the phones in a few countries where we can do well," said Yoon Han-kil. Samsung is still planning to release at least two smartphones running Tizen. The first, which will be on the market around the end of the second quarter, will be a high-end model. The second will be aimed at the middle of the market.